Before: Gentleman in his early 60s has sagging of face and neck tissues. After: Shows improvement from Face and Neck lift. Results look natural. Before: Profile view showing sagging of face and neck that was bothersome to this gentleman. 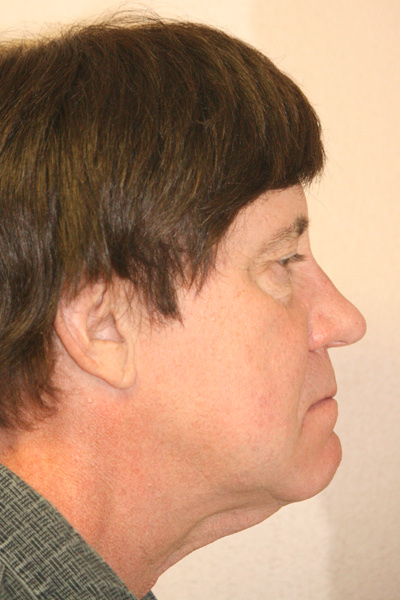 After: Profile view showing refreshed, youthful appearance six months after surgery. Scar from facelift is placed in a natural crease in front of his ears and is not noticeable. There is no alteration of hairline and sideburn. Before: This gentleman is in 40s. He lost considerable weight. This has caused excess sagging of his facial and neck tissues. After: Outcome from Face lift and Neck lift and voluntary grooming of beard by the patient. Surgery scar is well camouflaged. Before: is a professional in late 50s, who was bothered by sagging of face, neck and excess hooding of skin of his eyelids. After: Shows correction that was achieved with a face lift and neck lift surgery. Key to any good surgery is to avoid having an operated artificial look. After: Right profile view after Face lift and Neck lift.